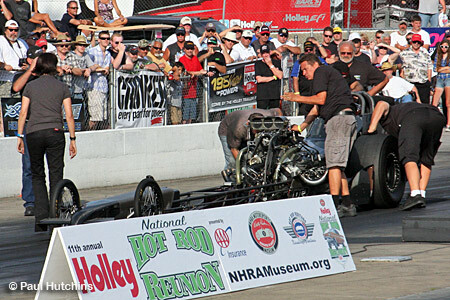 BOWLING GREEN, Ky. (June 15)  The NHRA Motorsports Museum Holley National Hot Rod Reunion presented by AAA came to a thrilling close on Saturday after three glorious days of honoring NHRA drag racing and reminiscing with past legends. 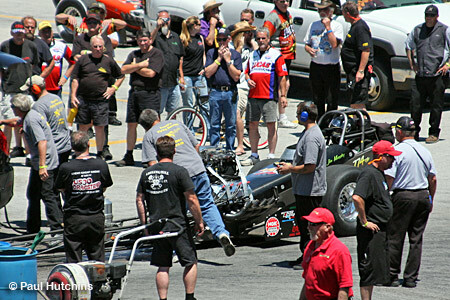 Grandstands filled to capacity and fans three deep standing by the fences took in all the sights and sounds during the day. 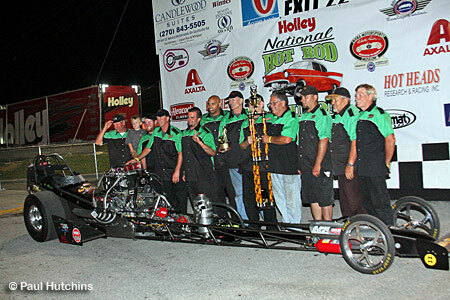 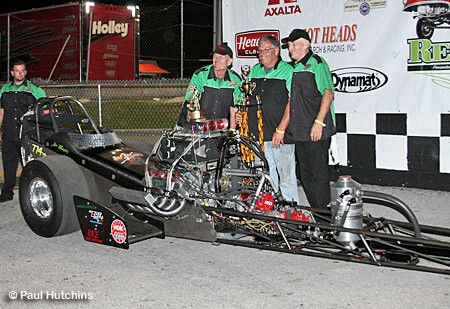 Jim Murphy, who recently purchased the March Meet winning Crop Duster from Frank Ousley, made the car his own taking the Nostalgia Top Fuel title by defeated the No. 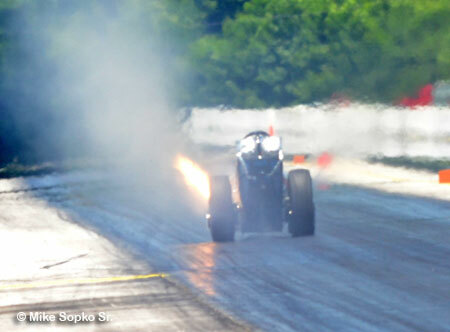 1 qualifier Denver Schultz in a thrilling final. 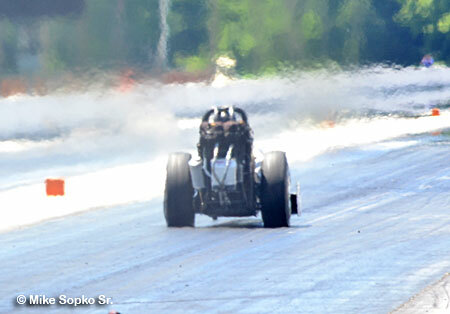 Murphy left first by a bunch and carded a 5.80 at 233 to a losing 5.81 at 250 by Schutz. 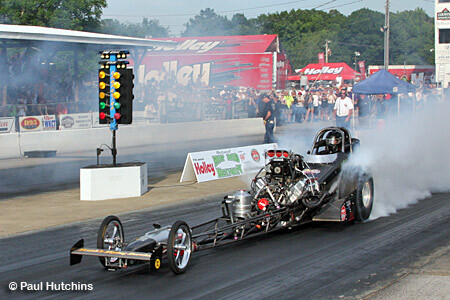 Murphy towed an empty trailer back to Blowing Green to pick up his new ride that was delivered by Ousley. 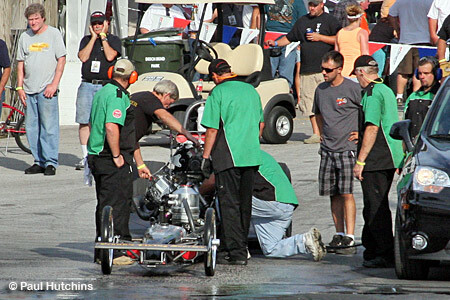 With Ousley and WW2 teaming up to get familiar with the new combination, they got off to a rocky start when they discovered an oil leak behind the motor plate at the cam plug. 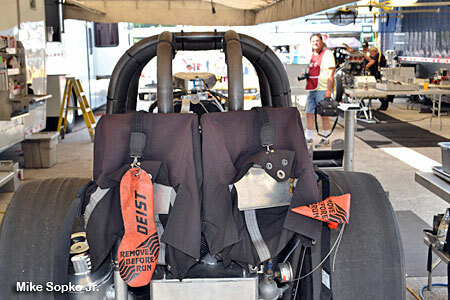 This prevented them from making the first qualifying run. 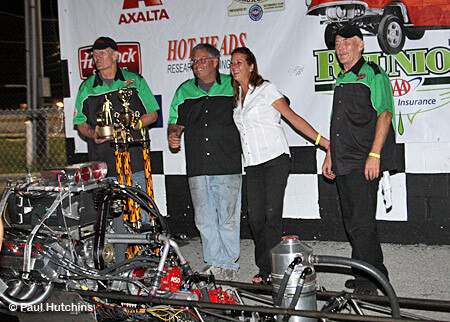 Not to be deterred, experience and hard work of the new team paid off for the veteran racer. 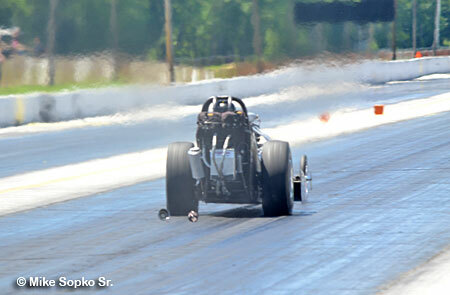 In session 2 on Saturday they ran a 5.88 on a shut off run of 215. 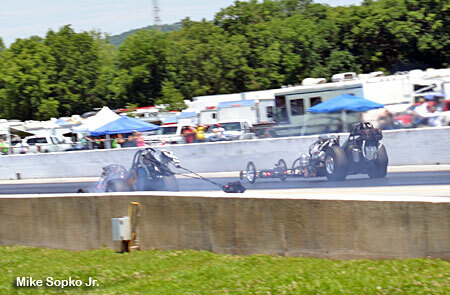 The third and final qualifier was a good run but they did not get a time slip. 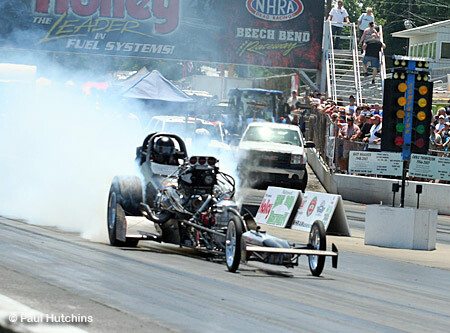 It was great but we struggled at the start of eliminations, Murphy said. 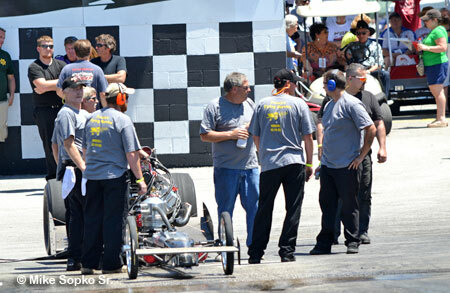 I was trying to mix fuel like Frank and his team mixed it and got a little sideways with the engine being real rich the first two rounds. 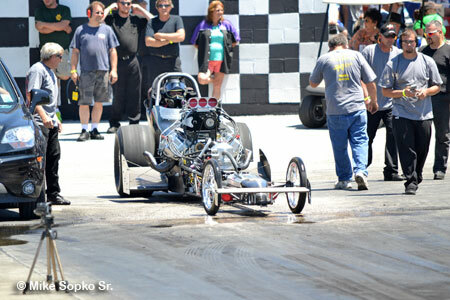 I went back to the way I normally mix it and the car ran great. 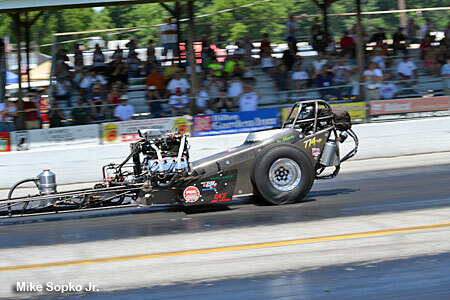 I have to say that this was the smoothest car I have ever driven. 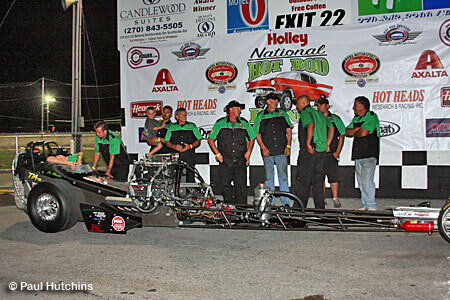 This was a huge win, and I can tell you, we now have one bad hot rod. 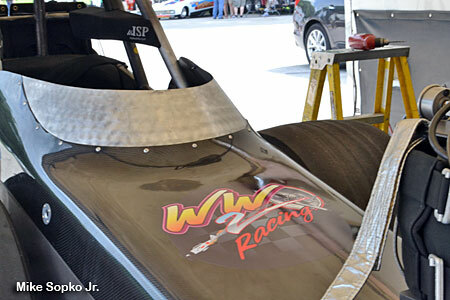 We haven't scratched the surface of its potential. 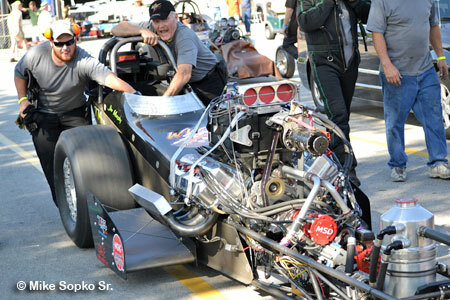 Im real excited as Frank will be with us again in Boise and the man can tune a race car." 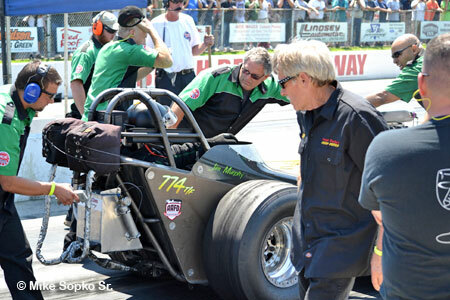 The win jumped Murphy into second place in the NHRA Hot Rod Heritage Racing Series 2013 Top Fuel Points right behind Schutz. 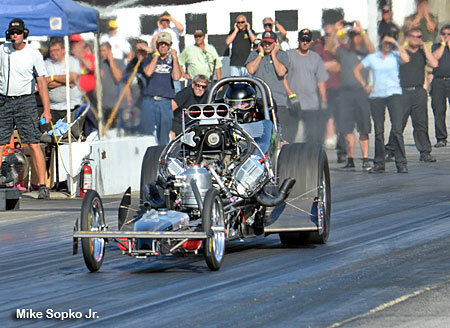 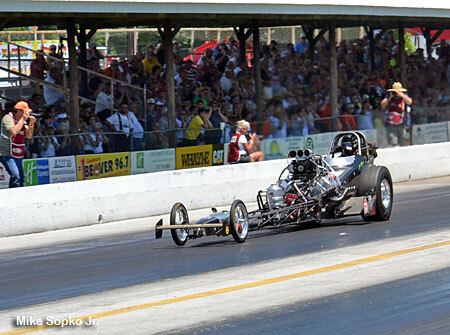 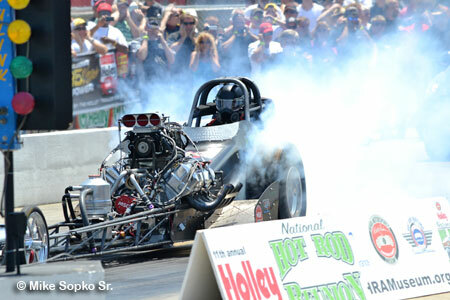 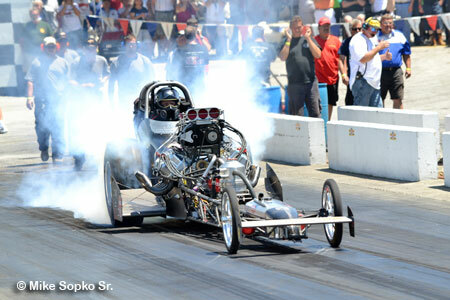 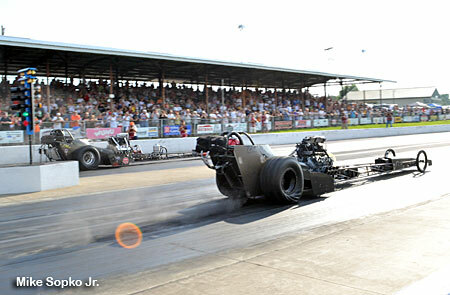 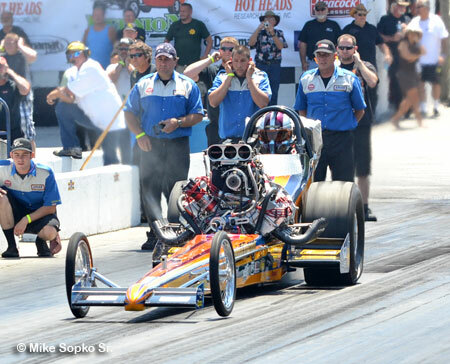 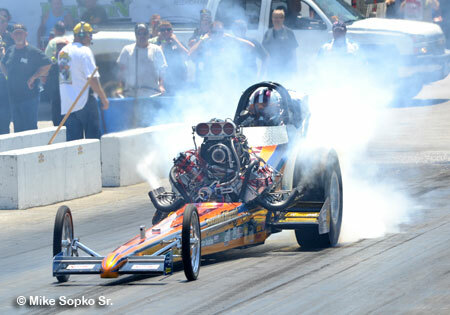 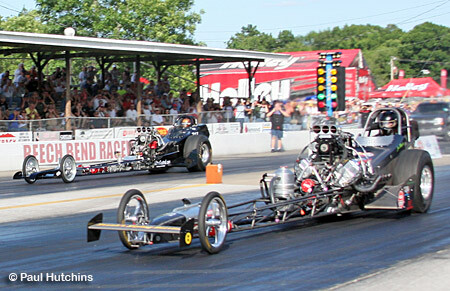 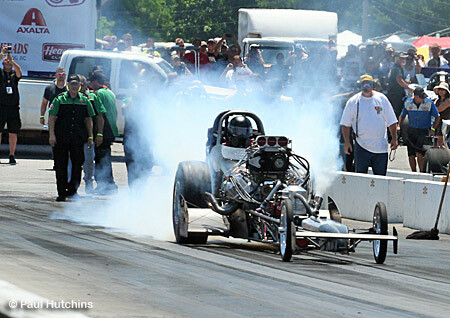 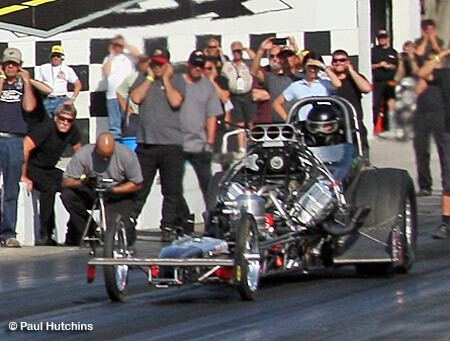 The next race in the series is the NightFire Nationals at Firebird Raceway in Boise, ID on August 8-11. 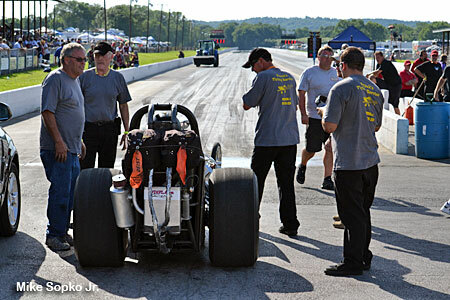 The guys spent Thursday getting used to the car and then finding a problem that kept them from making a quaifying run. 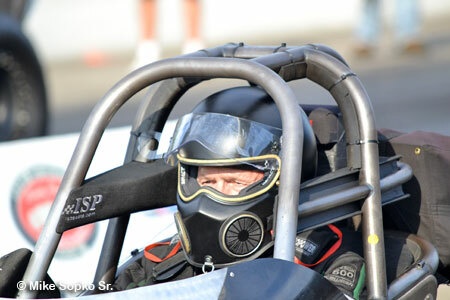 Murphy had a strong leave. 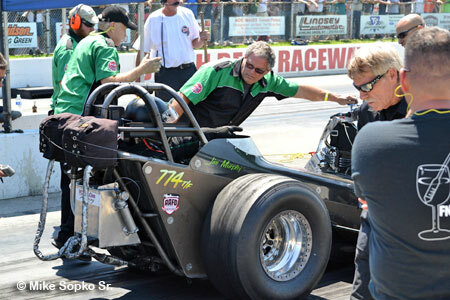 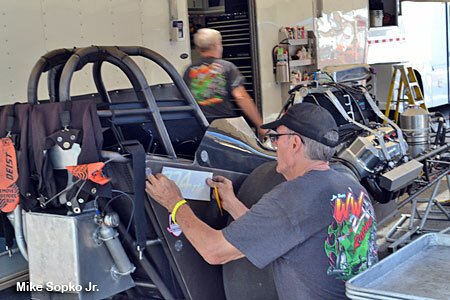 Just like he's been in this seat for years, Jim motored to a nice 5.888 at just 215.68 which would be good for the #3 spot. 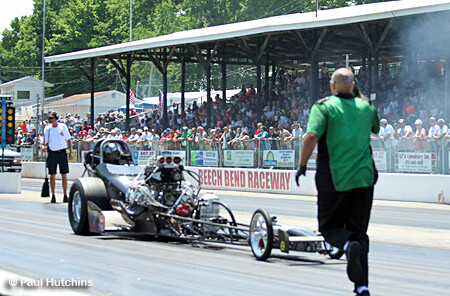 During the clean up Murphy opted to stay in his car under a shade tree. 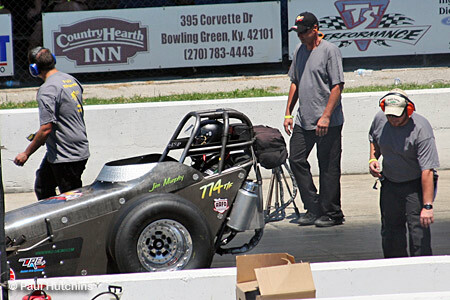 Fellow Top Fuel driver Brenan Murry was there with the water. 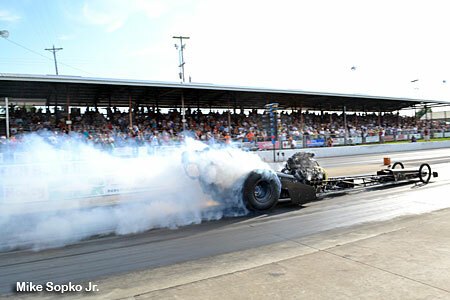 Paired with Jerry Krume Jr., Murphy finally got to do his burnout. 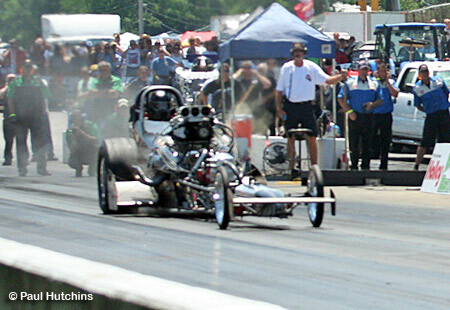 The car left good and made a strong, straight pass. 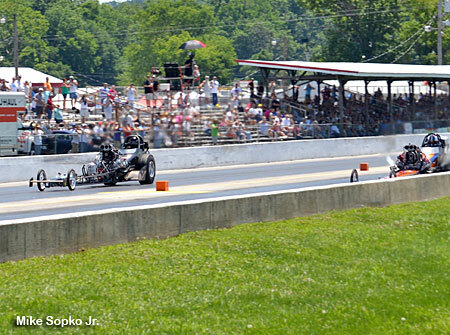 Krume trailed but had a nice clean pass. 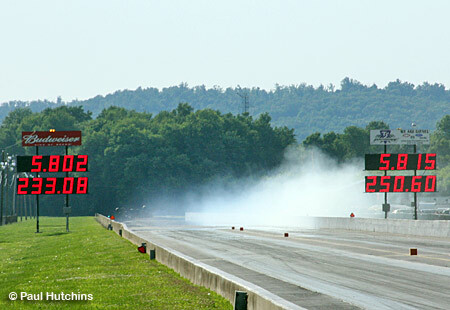 Unfortunately the clocks malfunctioned and there were no times. 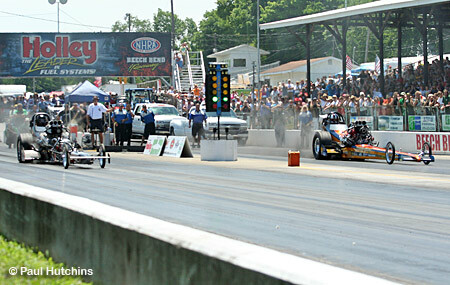 This left Murphy to stand on his previous time qualifying him #3. 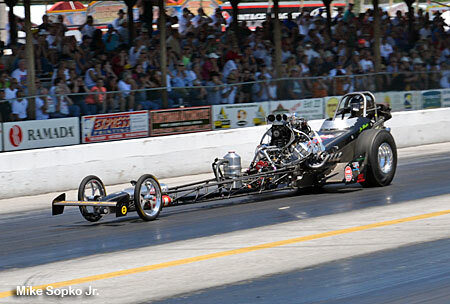 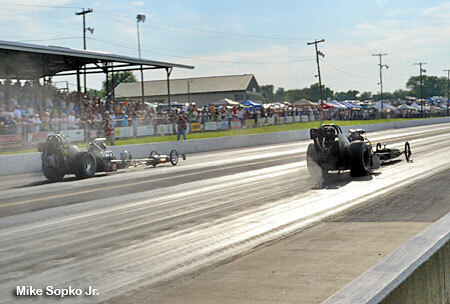 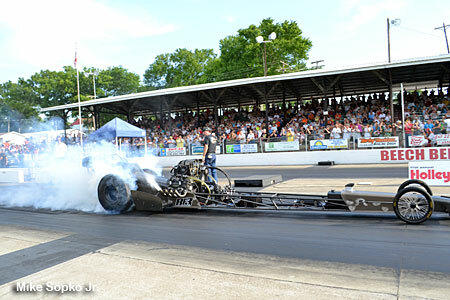 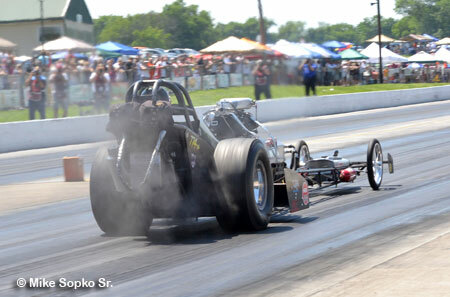 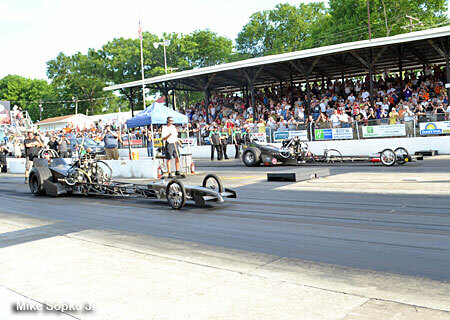 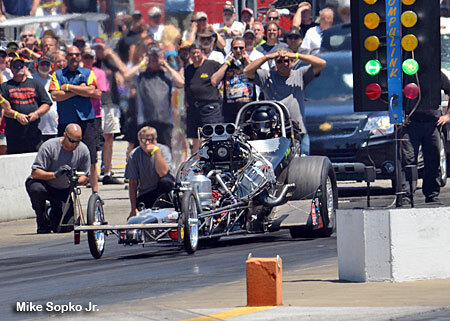 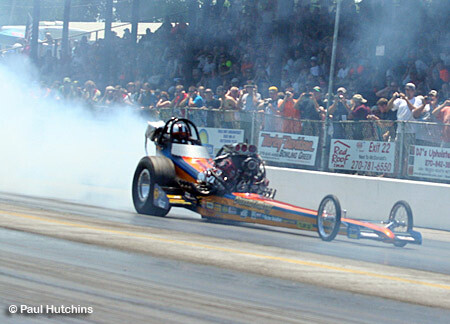 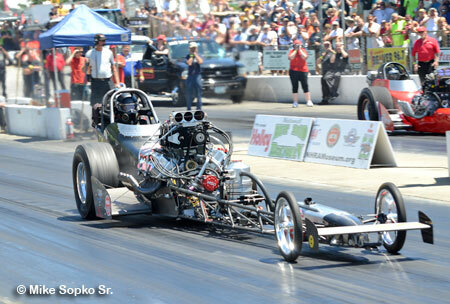 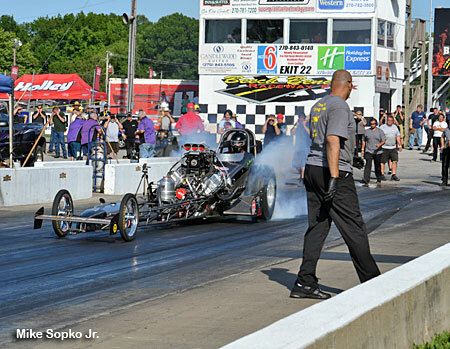 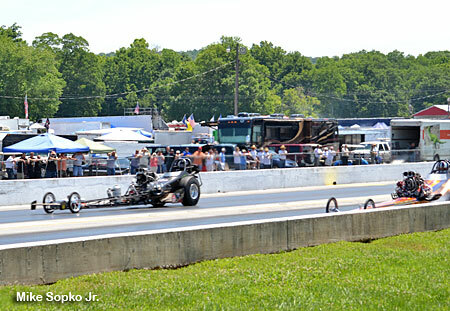 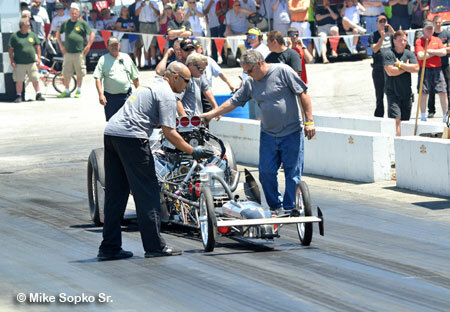 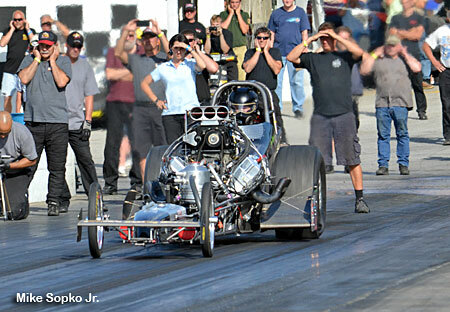 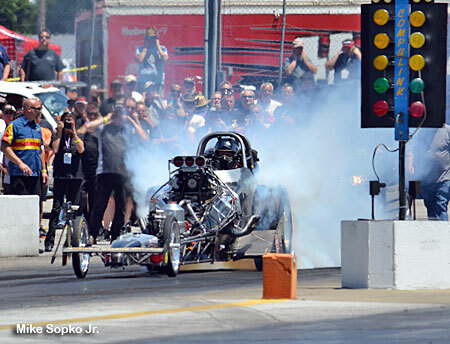 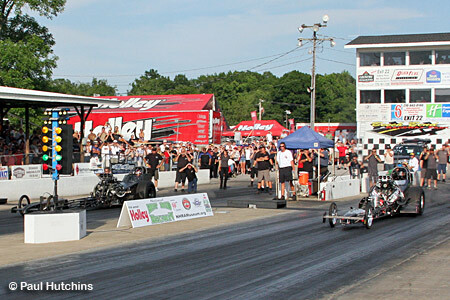 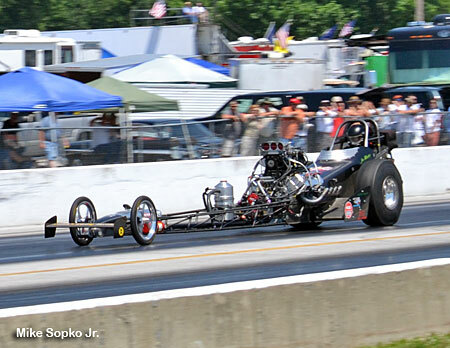 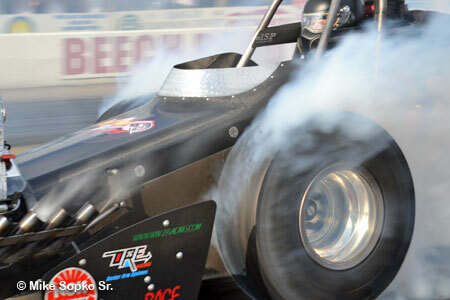 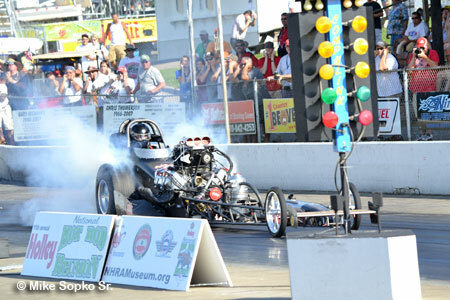 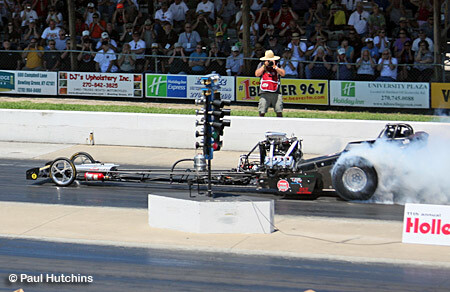 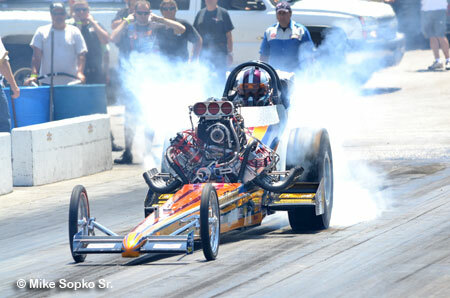 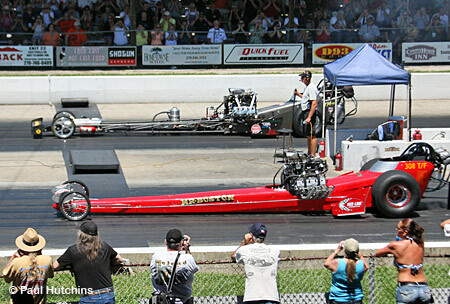 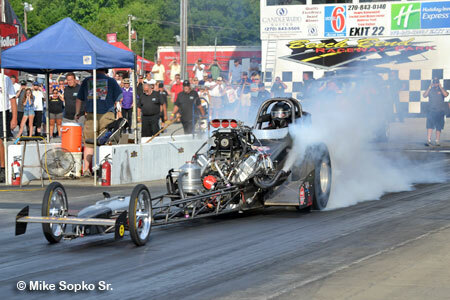 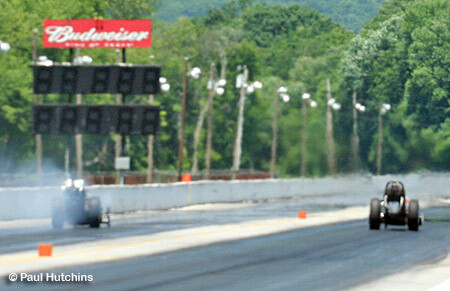 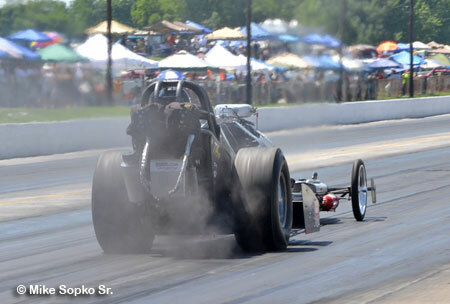 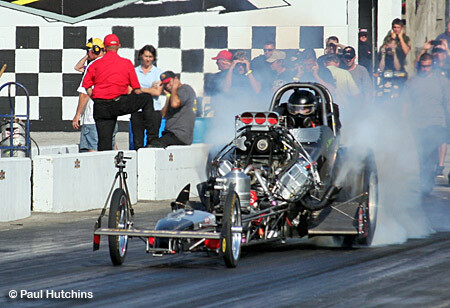 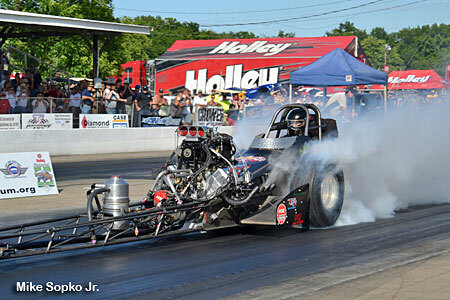 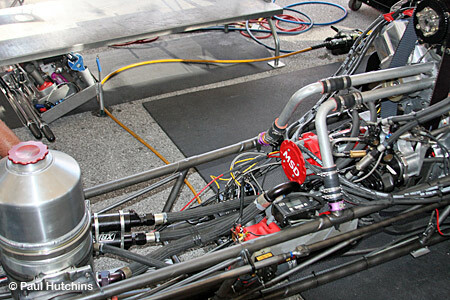 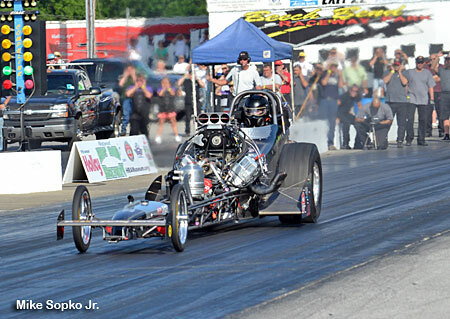 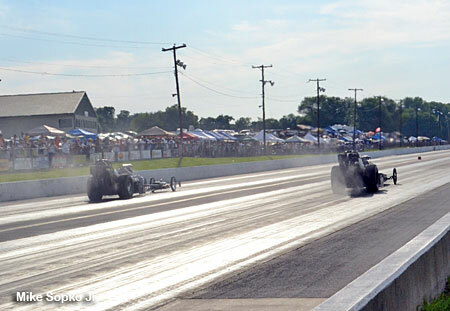 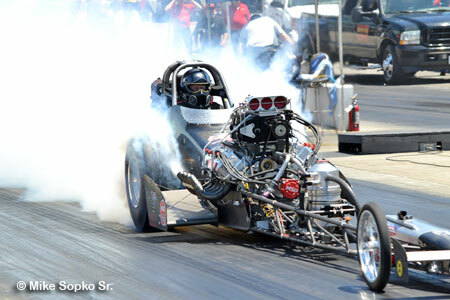 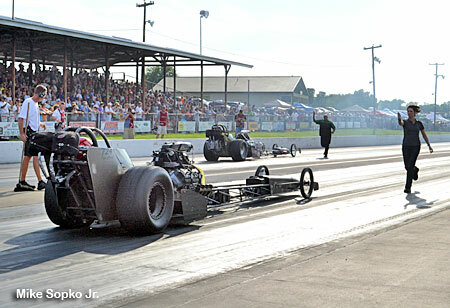 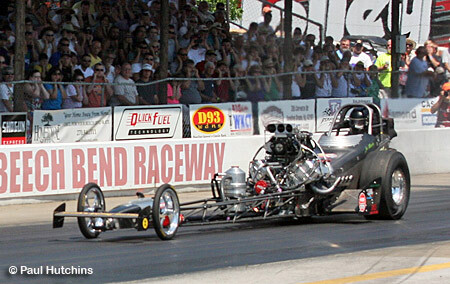 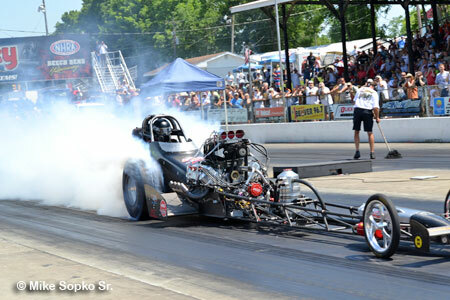 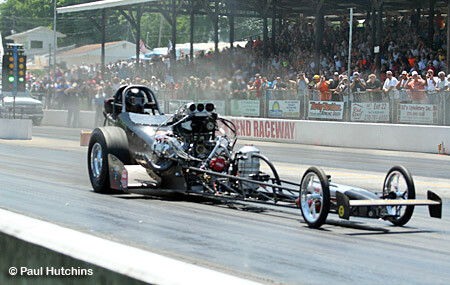 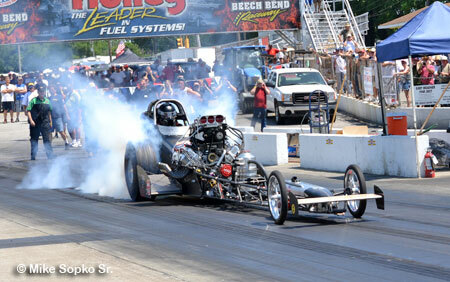 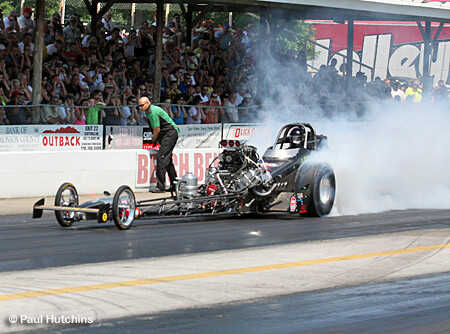 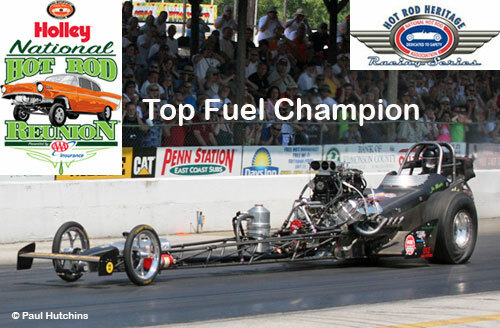 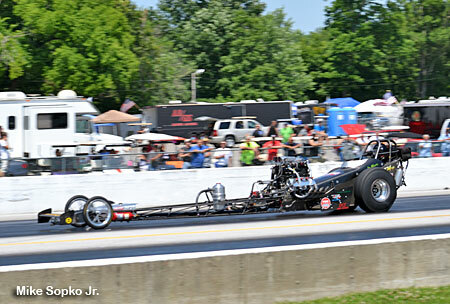 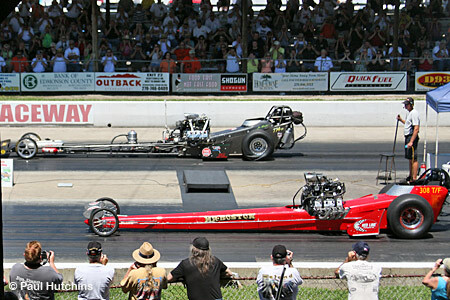 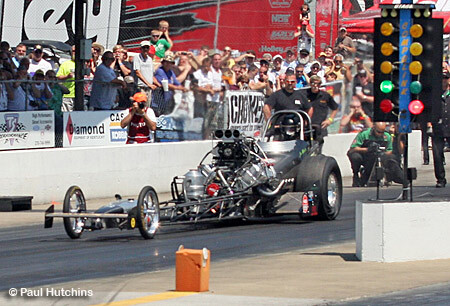 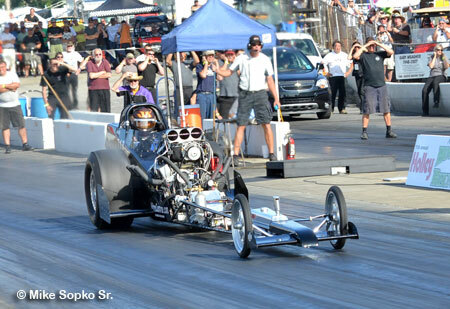 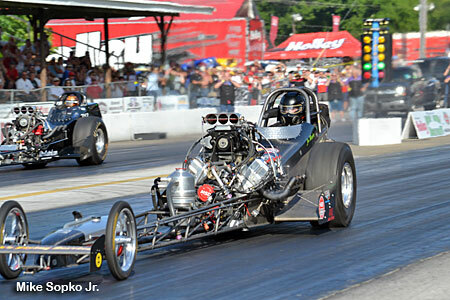 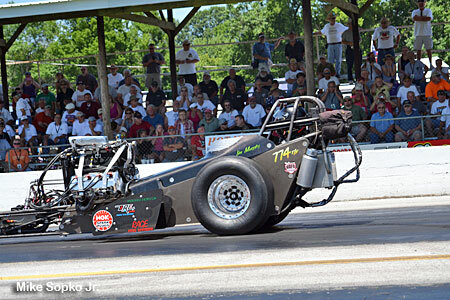 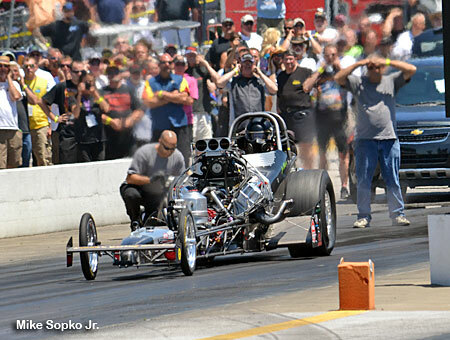 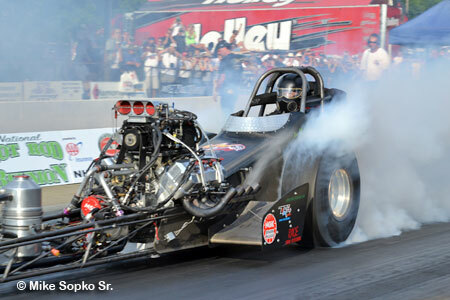 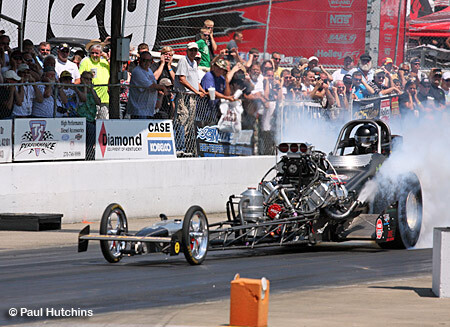 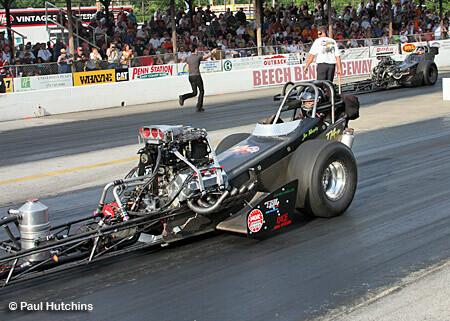 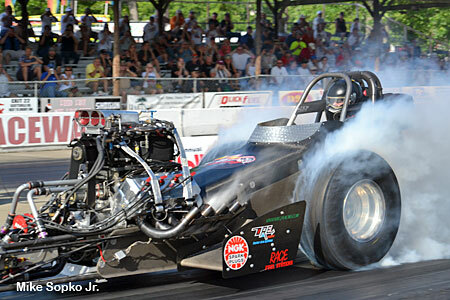 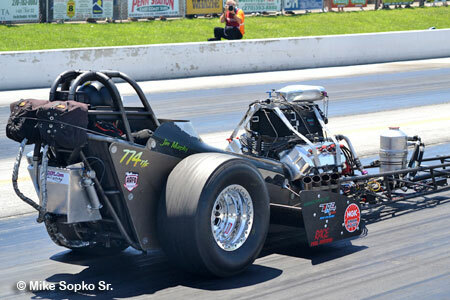 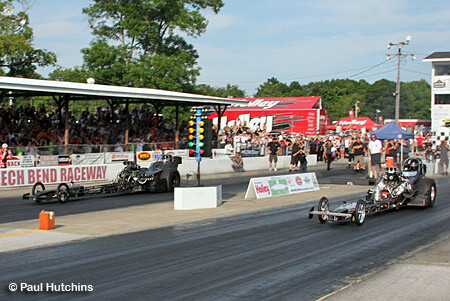 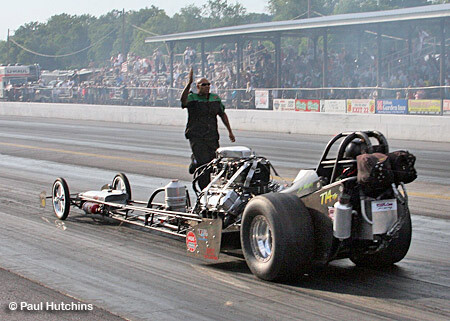 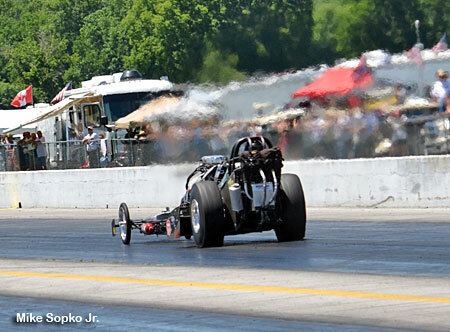 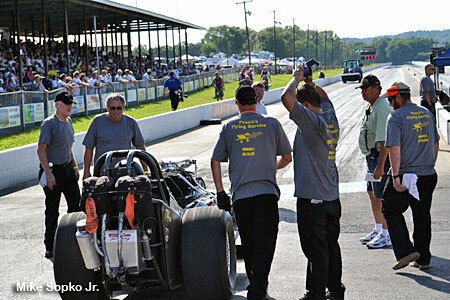 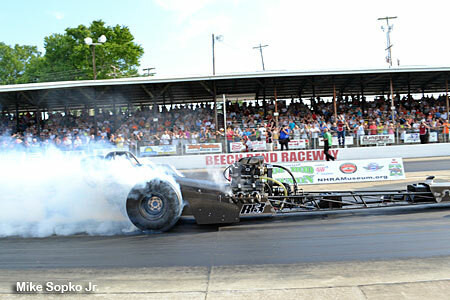 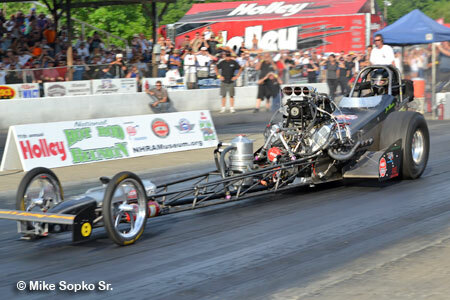 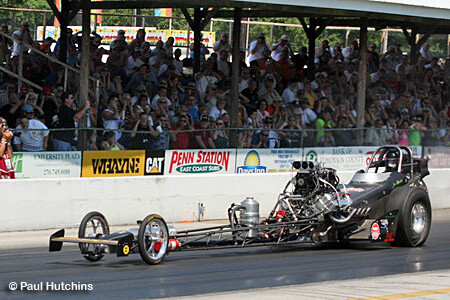 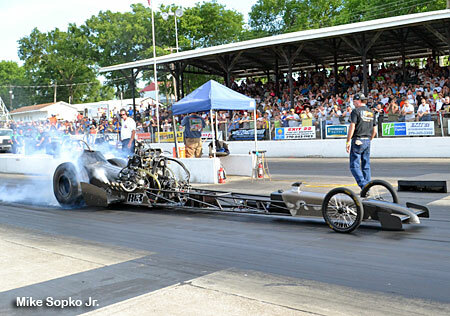 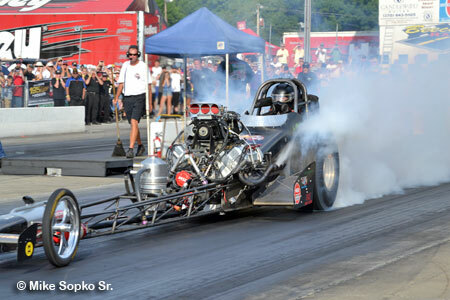 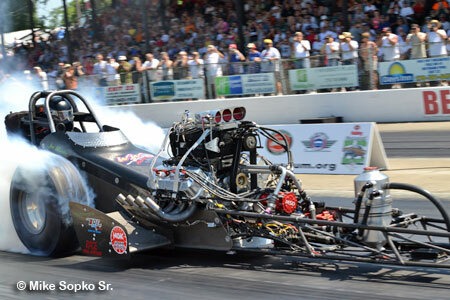 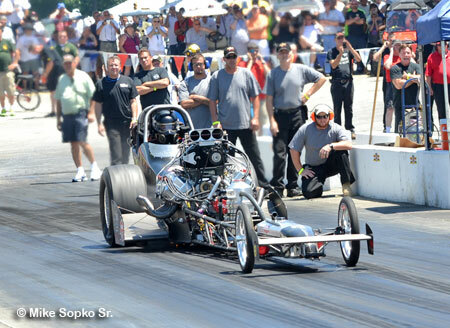 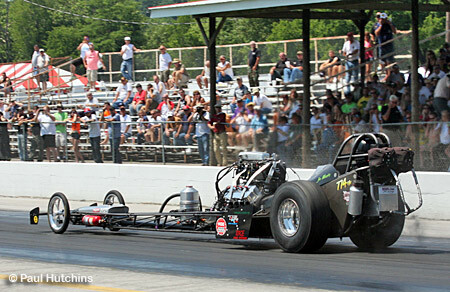 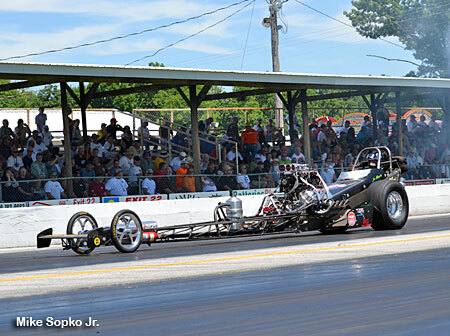 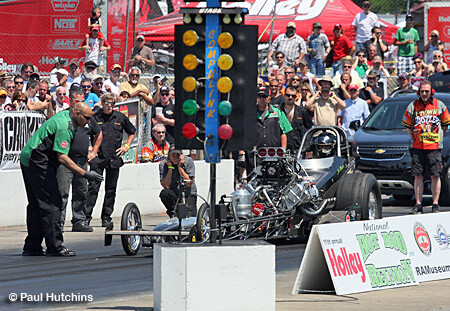 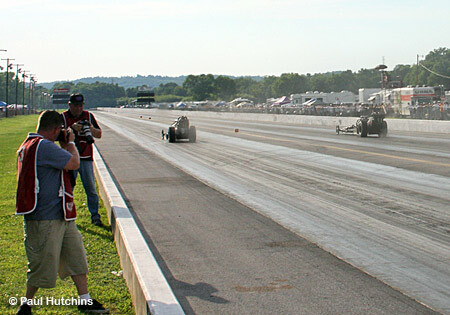 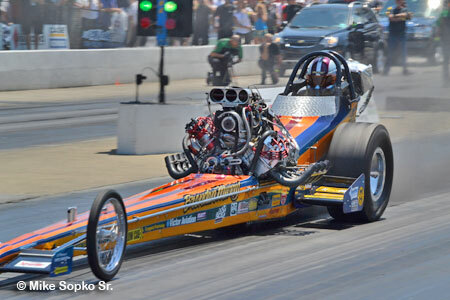 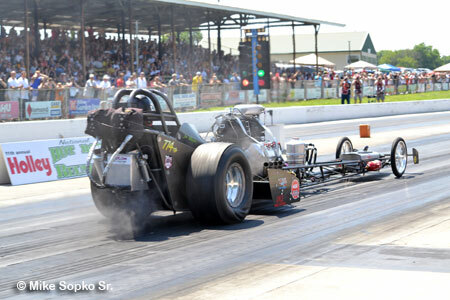 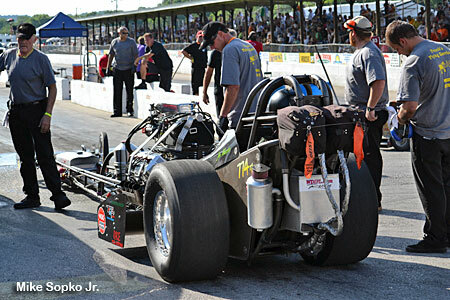 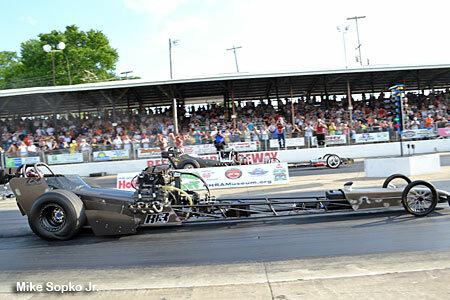 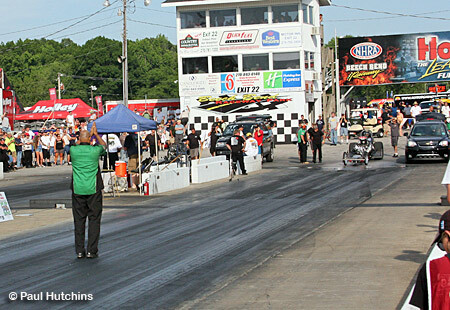 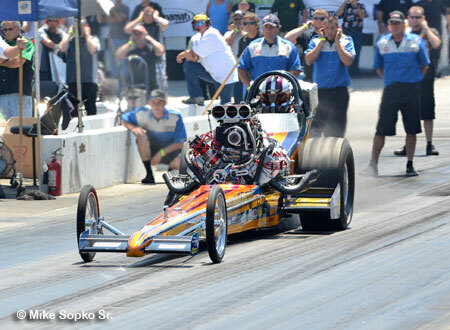 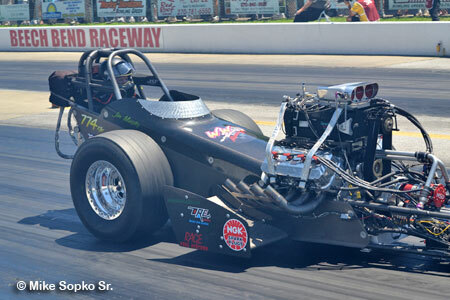 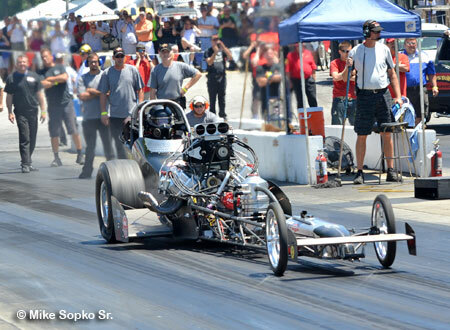 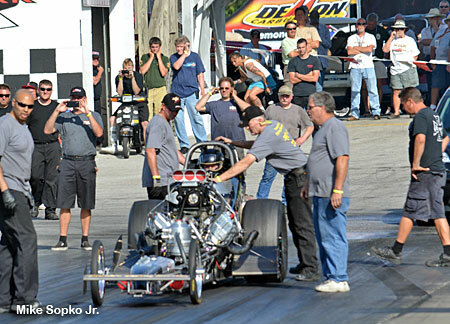 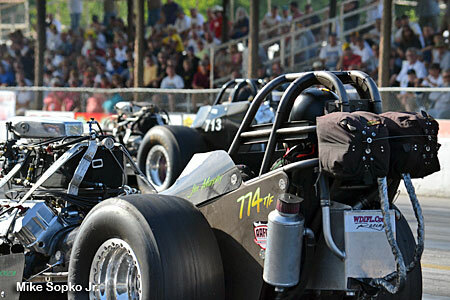 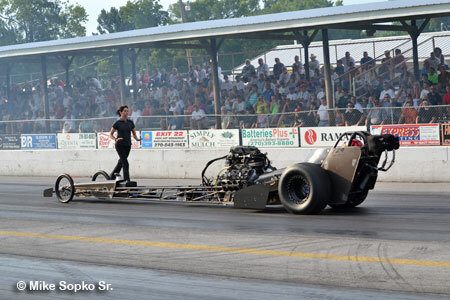 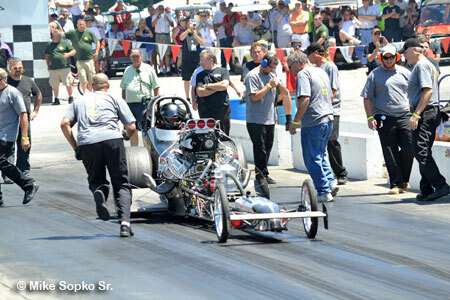 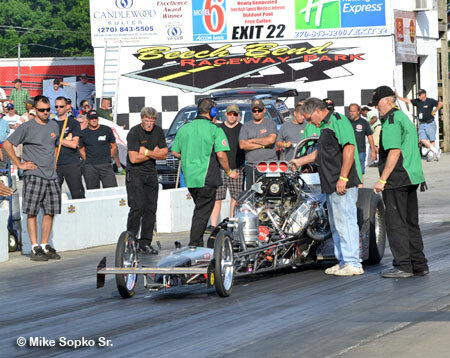 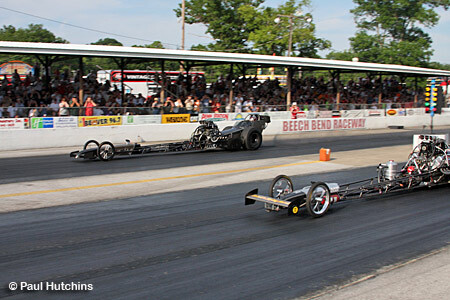 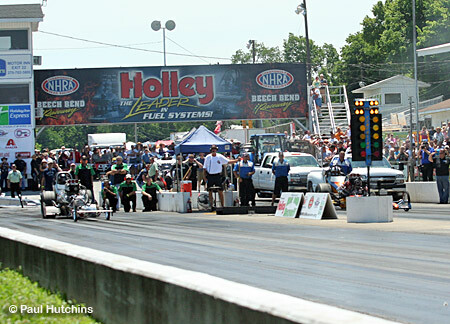 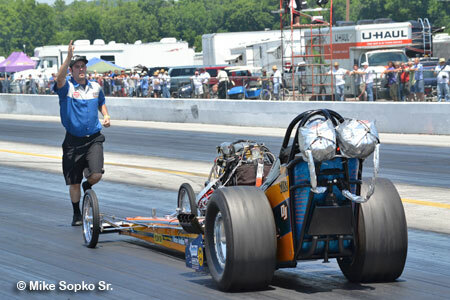 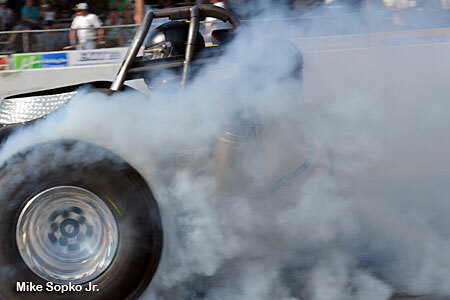 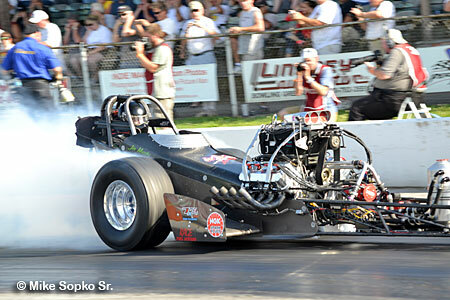 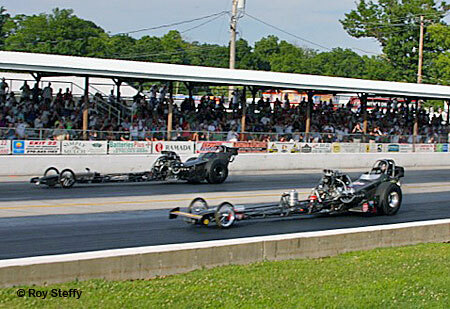 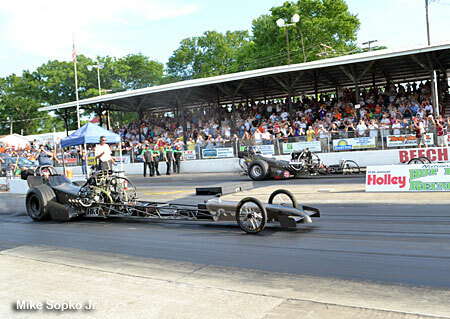 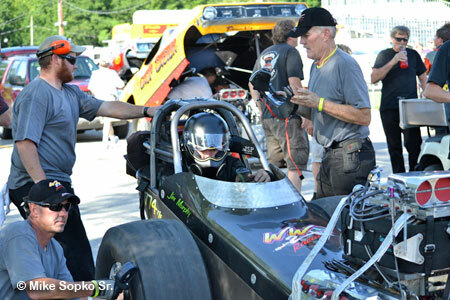 Saturday featured cooler than usual weather (only in the high 80's) as the first round of Top Fuel kicked off. 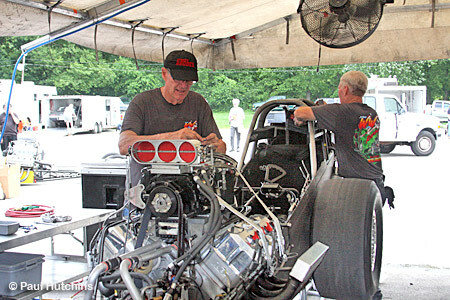 Pair three was two friends from California, Jim Murphy and Brendan Murry. 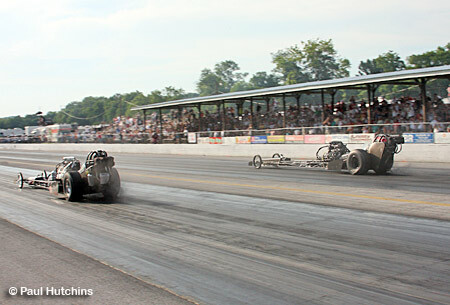 Both cars left pretty much together but Murphy pulled away at took command by the 60' mark. 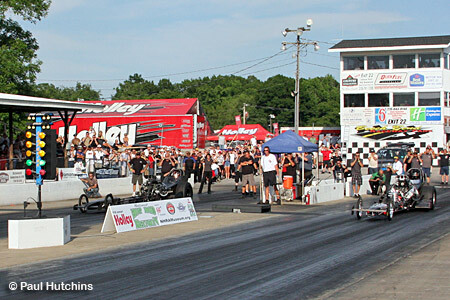 Murry's late model hemi had a major problem on the left bank while Murphy was motoring to a 6.054 at 251.49 for the win. 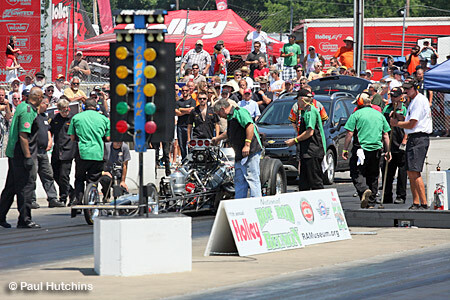 Greenwood couldn't make it back so Murphy had a single to the final. 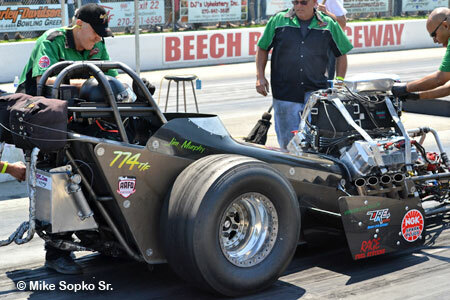 After some stout early numbers Murphy clicked it and slowed to a 6.452 at 169.02. 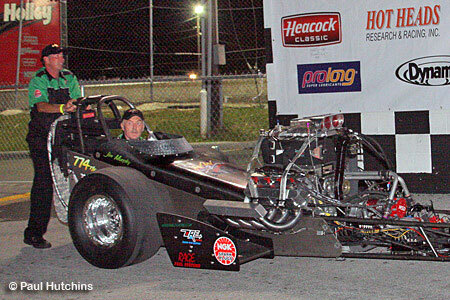 Schutz's new Neal & Parks car had been a bracket racer all weekend. 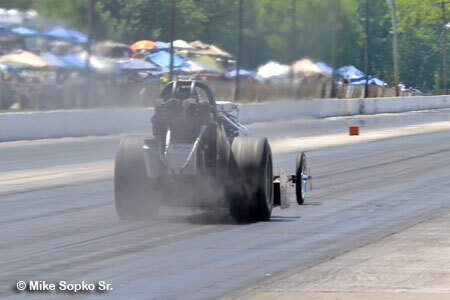 But Murphy 5.80 in round one would put him right there. 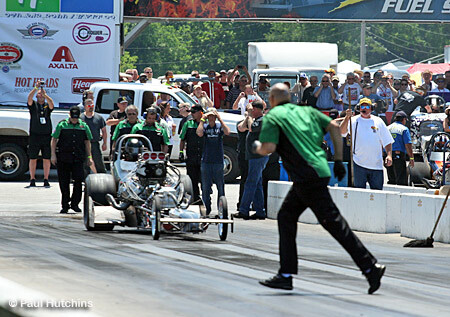 Murphy got a big jump off the line and they were off. 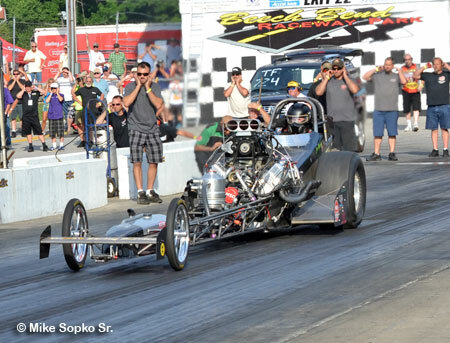 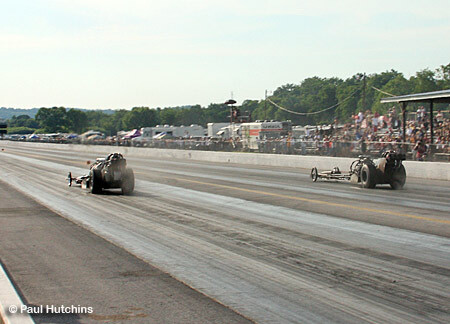 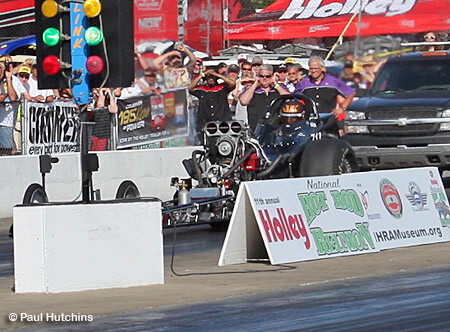 In one great drag race Muprhy got the win with Schutz flying a click behind him. 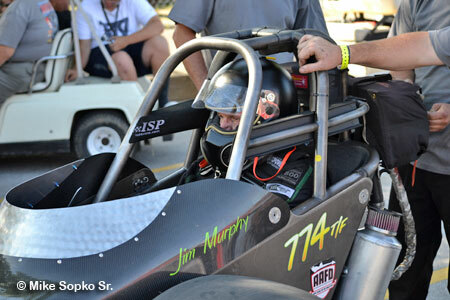 Not bad for Jim's fifth run in the car. 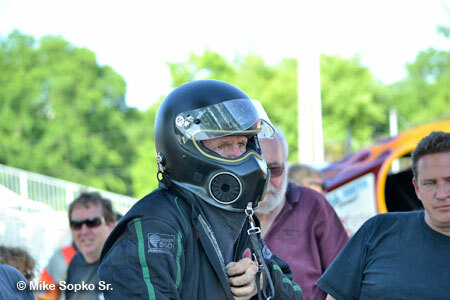 The team comprised of WW2 Racing regulars who flew in and some of the Crop Duster funny car guys. 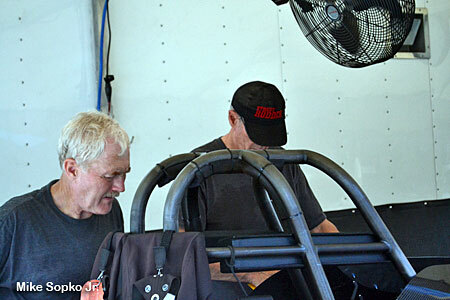 Murphy, Frank Ousley and Dan Wilkison. 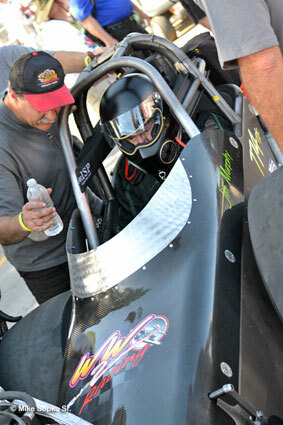 Debra Ousley joined in below.